A goal for MHA was to ensure that everyone participates in the affordable-housing solution, and the outcries from both sides means we are on the right track. After four years of process and delay, Seattle finally has the opportunity to pass citywide Mandatory Housing Affordability (MHA). By requiring all new development, no matter where it is built in Seattle, to contribute to affordable housing, we can help working families find a home in our city. The hearing examiner’s long-awaited positive ruling on MHA opens the door for the creation of 6,000 new income-restricted homes accessible to teachers, nurses and firefighters over the next 10 years. Who pays? Development pays, either by including the affordable homes in new buildings or by contributing a fee. We started down this road four years ago, when housing costs were already a burden. Today, about one in three households in King County pay more than 30 percent of their income on rent — what economists call cost burdened. As rents skyrocket, wages have not kept pace. A full-time worker must earn $36 an hour to afford a typical two-bedroom apartment. And minimum-wage workers — your barista, day-care worker, custodian and cashier — have to work 90-hour work weeks to pay rent. According to the King County Regional Affordable Housing Taskforce, we need 156,000 additional affordable homes right now in King County to meet our housing need. Since 2010, on average we have produced only one new unit for every three people who have moved to Seattle each year — or 10,100 units for 31,800 new residents. We need more housing. MHA is the right solution at the right time. This carefully calibrated tool produces affordable housing without inhibiting needed development. To require development to contribute to affordable housing, we need zoning changes to allow for slightly larger buildings — usually about one-story taller. An important goal of MHA is to create affordable homes in neighborhoods where growth is happening. MHA requires that new residential development either include income-restricted units, or that developers pay a fee in lieu of producing those units. The city has a strong track record of deploying funds from the Seattle Housing Levy, Incentive Zoning payments — and soon — MHA payments, into affordable housing. 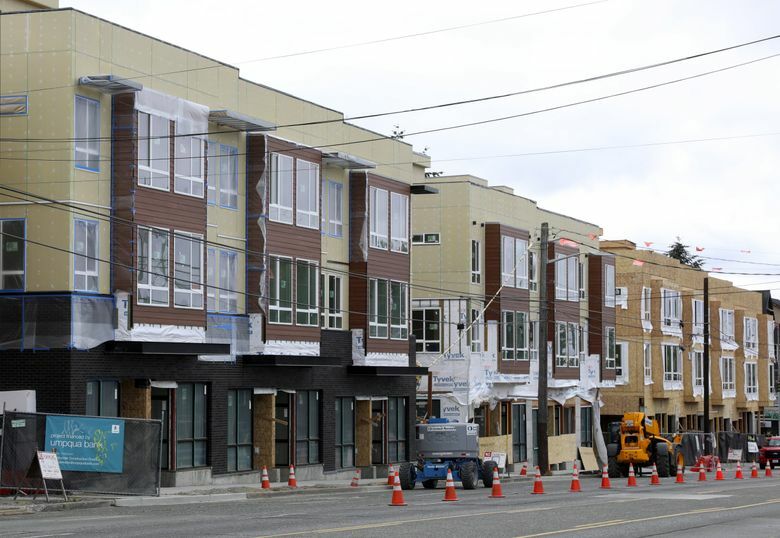 Starting in 2017 and through 2019, we expect to see the opening of 1,458 city-funded housing units in 14 apartment projects throughout the city, including Othello, First Hill, South Lake Union, the University District, Sand Point, Broadview, the International District and Greenwood. Those new units will be income restricted for at least 50 years to families that earn 30-60 percent of area median income (60 percent of area median income currently equals $51,360 for a two-person household). Homes built with MHA funds would be income restricted for 75 years. In 2018, the city Office of Housing received 25 applications requesting about $245 million of funds for affordable housing projects totaling almost 3,000 new units. The Office of Housing had $70 million available. An infusion of MHA payments will get more of these shovel-ready projects into production. With citywide MHA, Seattle has an unprecedented opportunity to create more-inclusive neighborhoods and to address our affordability crisis head-on. More housing choice is a good thing. That means the people who work to make Seattle a great place for everyone can also live in our city. We have heard criticism of MHA from both sides: On the one hand, that developers drove the “bargain” and are the only winners; on the other hand, that the MHA requirements are too burdensome and will halt development in Seattle. A goal for MHA was to ensure that everyone participates in the affordable-housing solution and the outcries from both sides means we are on the right track. As the City Council takes up consideration of MHA legislation, we expect there will be differences of opinion on how to improve the proposal. But we look forward to respectful disagreements among good neighbors who share the vision that everyone who works in Seattle should have the choice to call it home. Faith Li Pettis and Greg Smith are members of Seattle for Everyone, a coalition of affordable-housing developers and advocates; for-profit developers; and businesses, labor, environmentalists, urbanists and neighbors united in support of MHA.